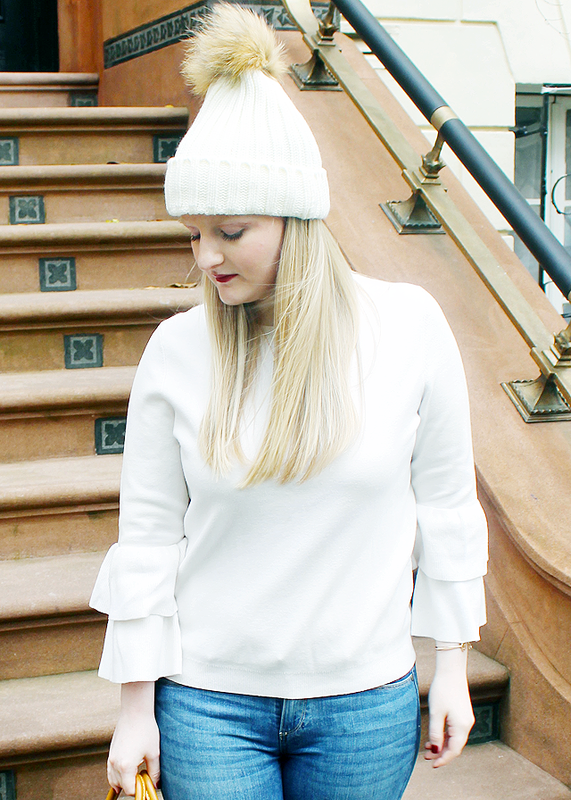 Ruffles and pom pom hats are both huge for fall/winter fashion this year. 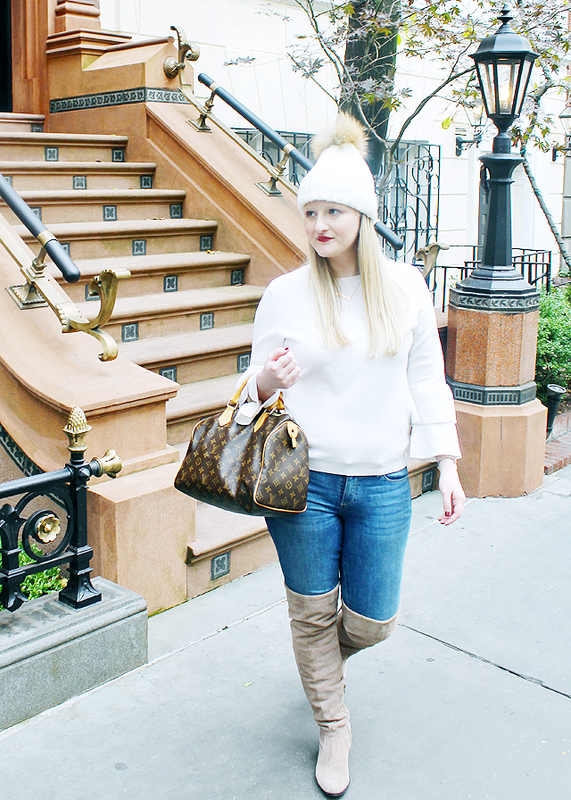 I'm a big fan of both trends and decided to combine them for this look, which is perfect for the holidays. 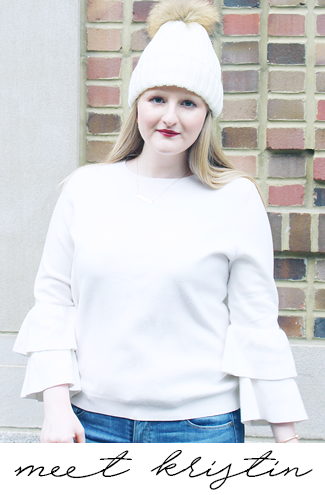 I'm really loving this sweet sweater from Ann Taylor and if you're looking for something more colorful it also comes in blue grey and chartreuse. 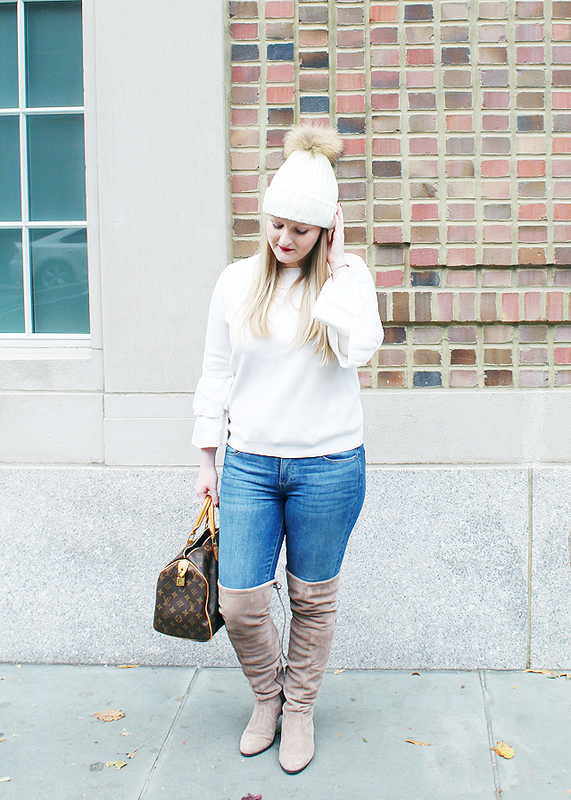 I also think that everyone needs a pair of over the knee boots for the season and while this crazy comfortable pair is from last year I found a similar pair from the same brand here. 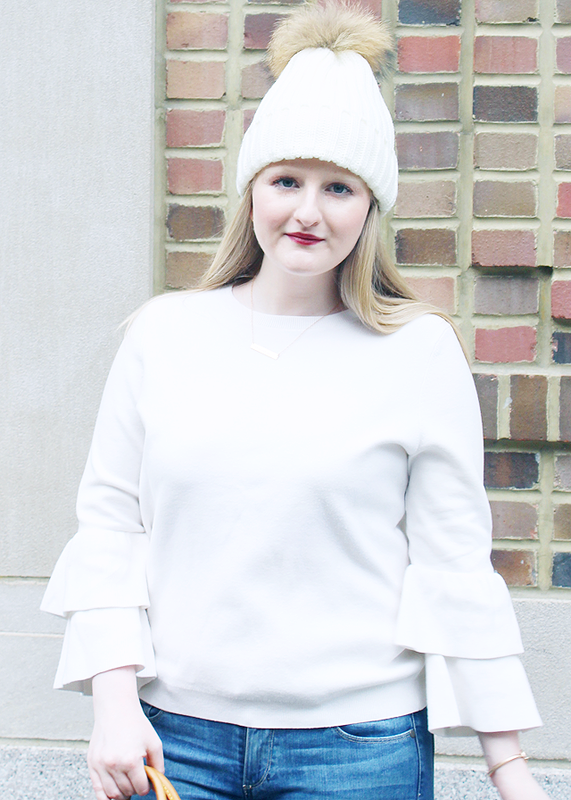 This look works for a variety of occasions and I will definitely be wearing a few times! 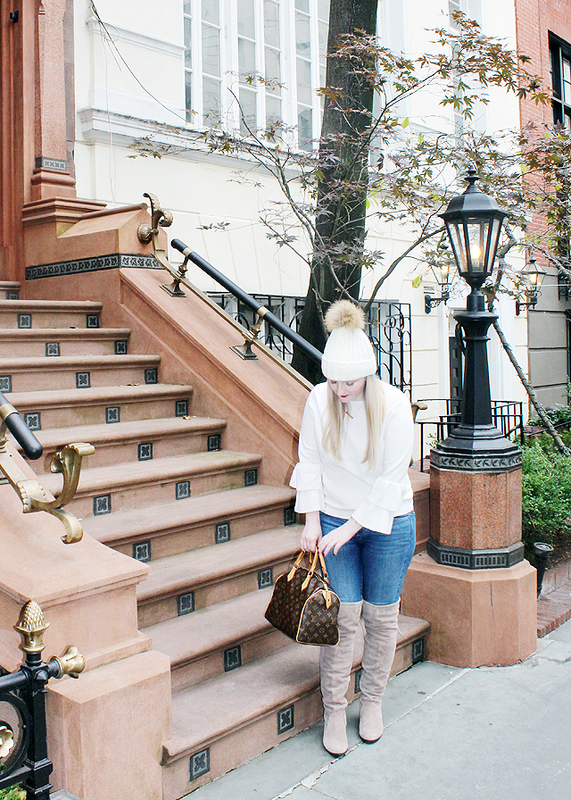 I shot these pictures when I was in New York City this past weekend with a friend, which was so much fun. I have a post coming up next week all about our trip so make sure to keep an eye out for that! In the meantime checkout Instagram to get a sneak peek at what we did. How was your weekend? I just ordered a new pom hat! So cute! Love that top its so cute and I never say no to a good hat! That hat is so cute! Love that fur detail. This is the best outfit, love the ruffles! This is such a cute look! 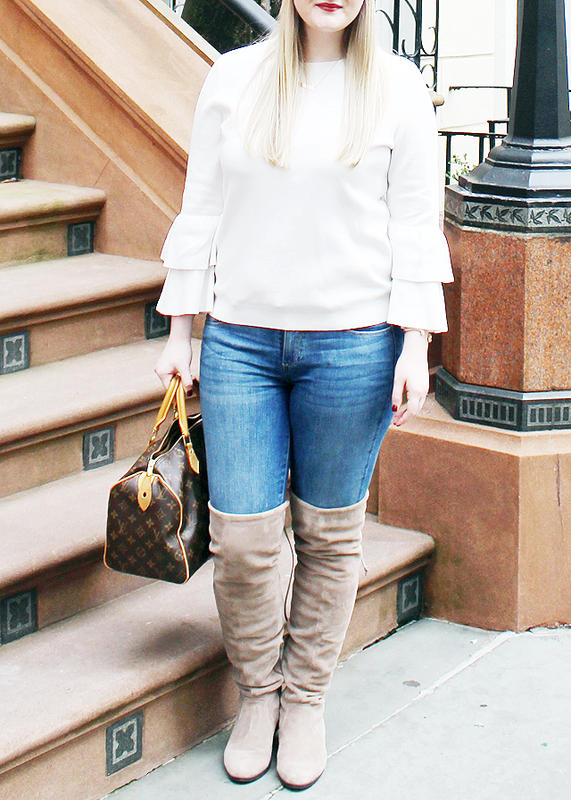 I LOVE both trends and you've incorporated them into your outfit flawlessly! Such a nice outfit for sweater weather! This outfit is super cute, Kristin!! I have a similar sweater but in pink and it's so great to pair with everything, I love the ruffle trend. Also those boots are so pretty!!! I love the ruffles and pom poms but I'm so distracted by those jeans! They are perfect! Those boots are beautiful-I hardly ever seen anyone wearing knee-high boots in that color! you are so stunning in these photos and in that color - love !! Super cute outfit and I love that hat so much! That pom pom beanie is too cute! I need one! 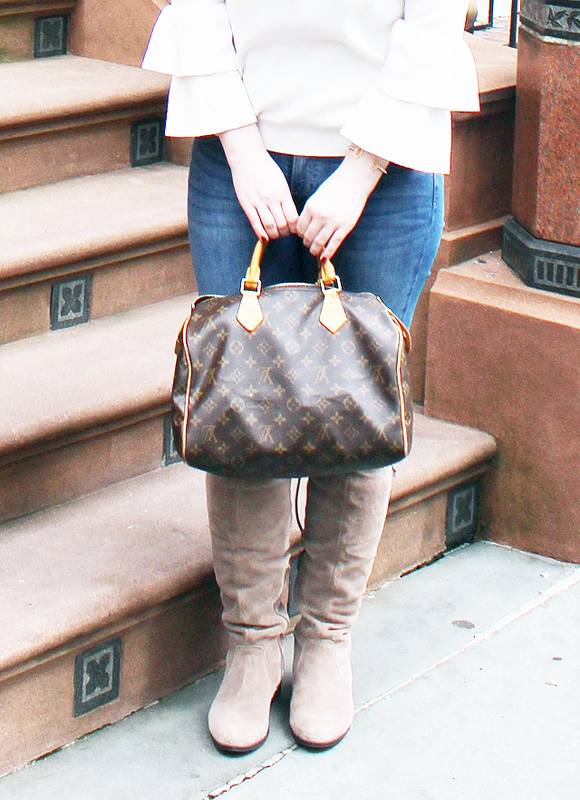 I have been loving ruffle sleeves lately! This sweater is so cute! 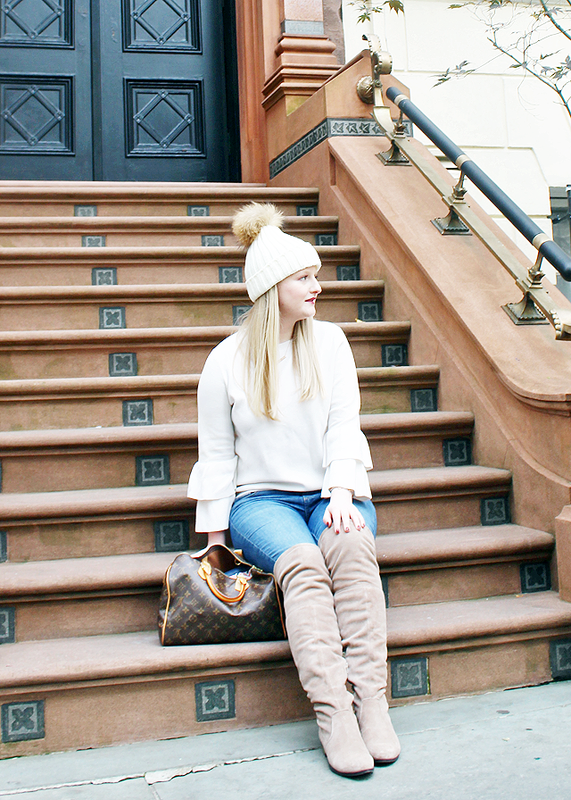 Love, love, love that pompom hat!! !